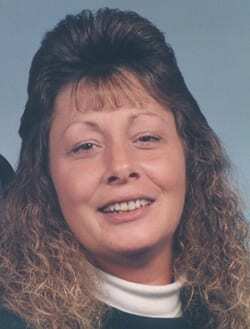 Antoinette “Toni” Haynes age 50 of Jasper, Ga died Friday, October 23, 2015 at her home. She is survived by her husband; Jamie Haynes, of Jasper, daughter; Jessica Mitchell, of Jasper, brother; Anthony Caputo, of TN. Grandchildren; Logan Mitchell, Leland Birchfield, Levi Birchfield, and Liam Birchfield, sisters-in-law and brother-in-law; Telete and Rodney Wheeler, of Jasper, and Delores Haynes, of Jasper, several nieces, nephews and other relatives also survive. Funeral Services are scheduled for 4:00pm Sunday, October 25, 2015 in the Roper Funeral Home Chapel with Rev. James Thompson officiating. The family will be receiving friends at Roper Funeral Home on Sunday from 12:00pm until the funeral hour. The Family ask in lieu of flowers donations be made to the Toni Haynes Memorial Fund.